The reign of Elizabeth I saw a solidification of Anglican principles, but also continued religious strife. 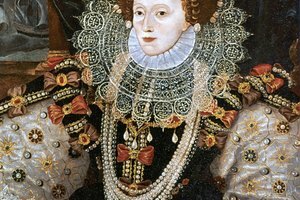 The Elizabethan Age was the period of English history the coincided with the reign of Queen Elizabeth I, from 1558 to 1603. Though considered a golden age by many historians, the Elizabethan Age was not without its troubles, particularly in the realm of religion. These conflicts were part of the larger Protestant Reformation sweeping across Europe, and though Elizabeth attempted to solve the issue in England with two major acts of Parliament, religious dissent still boiled under the surface. The Protestant Reformation was initiated by Martin Luther in 1517, who saw the Catholic Church as corrupt. Though Henry VIII, king of England, was initially opposed to Luther's Reformation, when the pope refused to annul his marriage to Catherine so he could wed the young and lovely Anne Boleyn, who held Protestant views, Henry declared himself head of a new Church of England, and separated himself and the country from the Catholic Church. 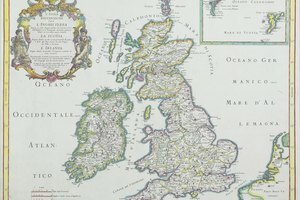 Henry's daughters were as divided as England: Mary, daughter of Catherine, was a Catholic like her mother, while Elizabeth was a Protestant like her mother, Anne. Mary's reign, though it saw an attempt to return England to Catholicism, was short, and when Elizabeth ascended to the throne in 1558, she sought to mend the division in England with the Act of Supremacy, which reestablished herself as head of a separate English or Anglican Church, and the Act of Uniformity, which outlined the basic principles of Anglicanism. 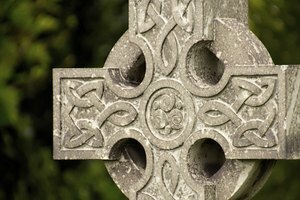 Elizabeth's laws, however, did not calm the religious strife in England. A Catholic rebellion in the north tried to put Elizabeth's cousin, Mary, Queen of Scots, on the throne, and Elizabeth responded with a harsh reprisal against Mary’s Catholic supporters, killing over 700 as traitors. Pope Pius V then excommunicated Elizabeth in 1570 and encouraged Catholics to rebel against her, leading to the further persecution of Catholics by Elizabeth. She also imprisoned Mary and eventually had her executed after she was implicated in one of the several Catholic plots to overthrow Elizabeth. 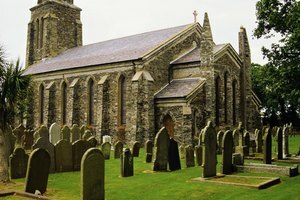 On the other hand, the Puritans believed that Elizabeth's Anglican Church was not Protestant enough and was still too close to Catholicism. 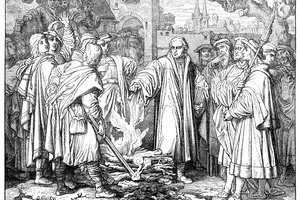 Their religious ideas were based on Calvinism, which sought an even more aggressive cleansing of the Catholic Church than Luther's Protestantism. 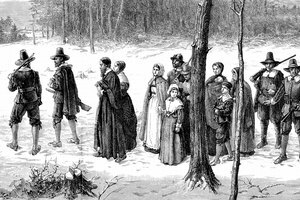 Though the Puritans were peaceful during Elizabeth's time, in 1649 they would be an instrumental part of the revolution that would behead King Charles I and launch the English Civil War. The religious seeds of that war were found in the tensions during Elizabeth's reign. Rashid, Aatif. "Religious Movements During the Elizabethan Age." Synonym, https://classroom.synonym.com/religious-movements-during-elizabethan-age-7846.html. Accessed 19 April 2019.